Silas Mainville Burroughs (December 24, 1846 – February 6, 1895) was an American British pharmaceutical businessman. Born in Medina, New York, United States, he was the son of Congressman Silas M. Burroughs (1810–1860). His mother died when he was five and his father when he was 13. He grew up with his aunt and uncle, and started his professional career by working in shops and as a travelling pharmaceutical salesman. He graduated from the Philadelphia College of Pharmacy in 1877. In 1878, he travelled to London, United Kingdom, as an agent for John Wyeth & Bro (now Wyeth Pharmaceuticals – see Wyeth) and founded Burroughs & Co., which imported American drugs into the UK. In 1880 his friend Henry Wellcome joined the company and the name of the company was changed into Burroughs Wellcome & Company. In order to expand beyond his company world-wide Burroughs undertook a promotional world tour from 1880 to 1884. During his life as a businessman, his Presbyterian and political beliefs strengthened, and he was attracted to Christian socialism. His philanthropism culminated in the foundation of the Livingstone Hospital at Dartford. He took British citizenship in 1890. Burroughs was known for pushing himself to the limit. 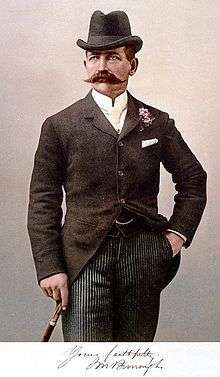 In 1895, he exhausted himself on a cycling trip along the Riviera, developed pneumonia, and died in Monte Carlo, aged 48. He left a wife, Olive, and three children, Ann, Francis and Stanley. Olive died in 1905 and was buried beside her husband. Wikimedia Commons has media related to Silas M. Burroughs (pharmacist).